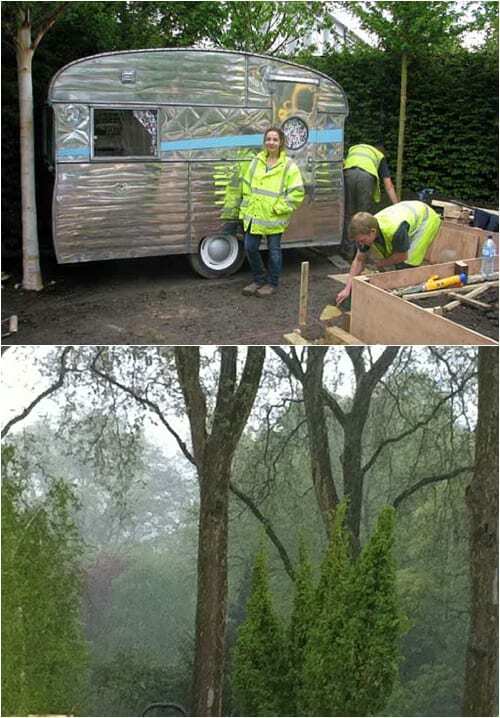 I hope you’re enjoying following garden designer Jo Thompson’s journey as she designs a show garden for this year’s RHS Chelsea Flower Show on Flowerona. 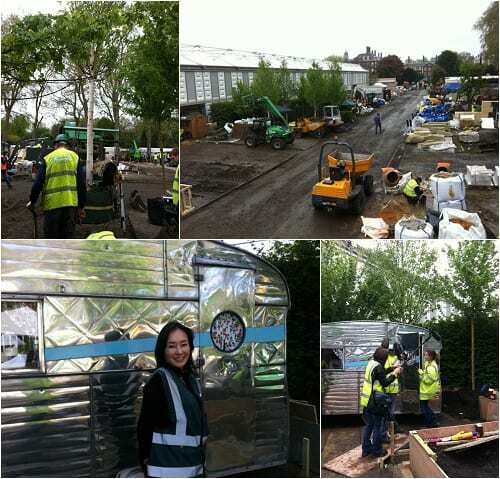 Yesterday, I visited the showground and saw Jo’s gorgeous garden, ‘A Celebration of Caravanning’ for The Caravan Club. I’ll be featuring photos from the finished design tomorrow. 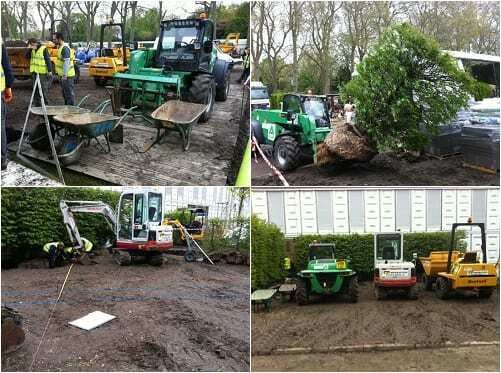 But first I wanted to show you how the build has developed since May 4th, by featuring images which Jo has put on Twitter over the last couple of weeks. And seeing the finished garden today compared to these images, I can fully appreciate the huge amount of work involved in transforming this 10m x 10m plot of land into a beautiful garden. Jo and her landscaper contractor, The Outdoor Room, have done an absolutely amazing job, dealing with awful wet, cold and windy conditions, plus challenges when excavating the site. Due to the cold weather over the last few weeks, Jo’s had to change the plant list a little bit. Foxgloves are now included and peonies no longer feature. But, none of the plants in the garden have been held back or brought forward. So you could have all of the planting in your own garden now too. With meticulous planning and a tremendous amount of hard work, all has definitely come good in time for the judging tomorrow. David Dodd and The Outdoor Room, Nina Baxter, Petra Hoyer Millar, Kate Carr, Carmel Meade, Georgie Newbery, Rosie Nottage and Yuko Tanabe. I’m sure you’ll be as captivated as I was yesterday, when you see the images of the finished garden, including the stunning planting, tomorrow. Thank you Karen for your lovely comment. Hope you enjoyed seeing Jo’s garden at Chelsea :-).